We previously told you that Microsoft would be launching Windows Phone connector for Mac some time later this year, good news for all those Windows Phone 7 owners who uses Macs as Windows Phone Connector for Mac is now available. 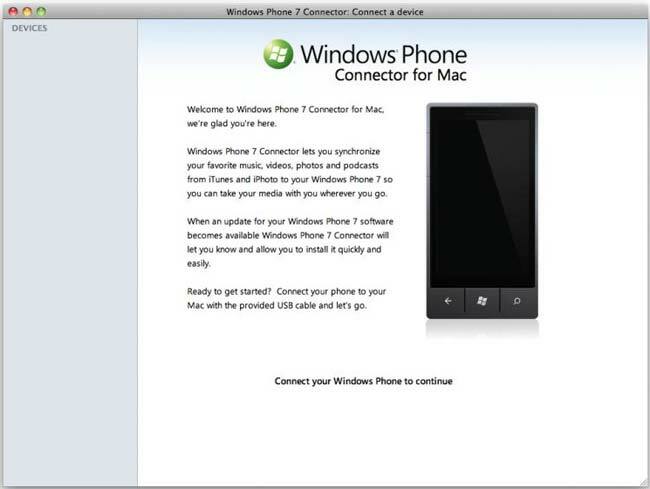 Windows Phone Connector will let you synchronize your Windows Phone 7 smartphone with your Mac, it enables you to access iTunes and iPhoto and you can transfer various content to your Windows Phone 7 handset. The Windows Phone Connector application for Mac is still in beta, so there may be a few bugs to be ironed out. There are no details on when the full version will be released as yet.